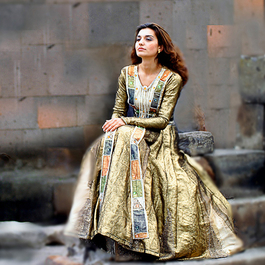 Tune in to this week's installment of Early Music from 9:30am-12:00noon to hear a special program on Armenian sacred music. Stepan Atamian plans to host a program that will focus on the building blocks of Armenian music, a subject Atamian will continue to explore over the next few weeks. This week's featured artists include two of the leading interpreters of this music, Anna Mayilyan and Isabel Bayrakdarian.